That might be the most important step. It’s about getting ready to integrate the “GoalBuddy” system in your everyday life. The key to achieving goals is to have a support system. If you don’t have one then … just don’t get out there trying to set any goals at all! Otherwise, it would be a disappointing experience. Our system comprises not only of building a vision, formulating a goal for action and the small weekly steps. It does one more thing – it provides support through its social element. 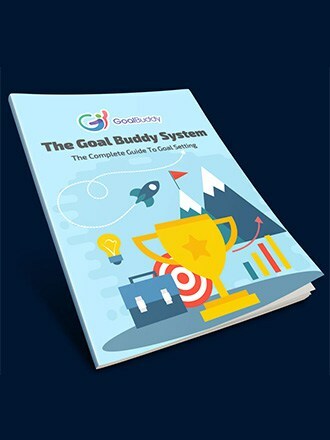 A Goal Buddy is perhaps the strongest guarantor for consistent achievements in realizing anyone’s dreams. Some studies show that without any support you risk becoming one of that 94 % who gives up on their goals in the first two weeks. In fact, it is perfectly normal to have ups and downs while pursuing an objective. You may lose motivation, energy and tempo, and then when the going becomes especially hard then you may think about quitting it all. That’s exactly the moment when the Goal Buddy comes to the rescue and helps you get back on track. And they do that not with some ready made advice but with listening and asking questions. You are responsible to them for sharing your aspirations, difficulties as well as failures but also to keep going in the chosen direction of achieving a goal. And they do the same – you are just like coaches to each other at the same time. Don’t waste any more time and hurry up to find a Goal Buddy. Who can be your goal buddy? If you are married, you should start there. It would be great if your spouse becomes your partner in goal setting. But if they aren’t too much into it or if you are single, then look for someone within the circle of your friends. They must be able to fully commit to the relationship and have the time and willingness to spend the required twenty minutes for the weekly meetings. So, take a piece of paper and write down the names of all those people who you think meet the above criteria. The two of you should have a 90-day trial period to see if it will work. If not, then you have to try with next one on the list. No matter how well and clearly you formulated your goals you still have to call your Goal Buddy each week at the same time. Do not miss a call. Your confidence will only go up with each talk you two have.